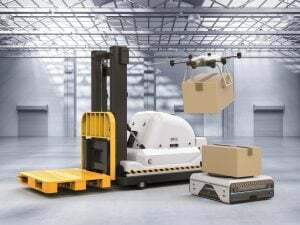 Delivery Quote Compare > Careers > Jobs lost to automation? Many news outlets published today details on a report by the Office of National Statistics (ONS) into the loss of jobs through automation. The majority of these jobs affect lower paid and lower skilled roles with professions such as medical and educational jobs being at lowest risk. We’ve mentioned in previous blogs about how automated vehicles could put jobs in transport at risk, but how realistic would it be. Test are constantly being carried out on autonomous vehicles with seemingly more companies springing up over night with a new take on driverless technology. Sure, drones and robot deliveries could replace the last mile drops supported earlier in the supply chains by automated warehousing and lorry chains. This type of future is inevitable reducing costs, speeding up the supply chain and getting goods on shelves faster. We’d be interested to see a robot man handling a second-hand sofa up three flights of stairs or carefully wrapping an antique record player to go half way across the country. When a happy courier drops off your much awaited for online purchase would they know that your neighbour is in, would they find the dry spot in the porch to leave things and would they know that leaving a box of washing powder on the door step on a rainy day not be a great idea. 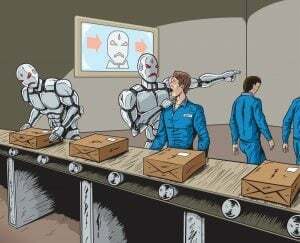 Automation is coming to many areas and industries, it’s the future and we’d be luddites to suggest that it can be avoided. For now however I think our man and van couriers can rest assured there’s still a future in our business. If you’re a courier looking to grow your business register on Delivery Quote Compare to get free access to hundreds of potential customers daily. If you’re looking for a courier the look no further than visiting our home page and list your transport needs in only a couple of minutes to receive quotes from rated, trusted transporters saving up to 75% on the cost of standard transport providers. 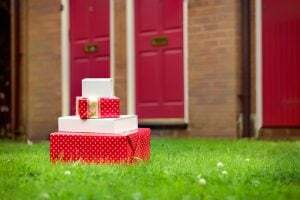 Self Drive Deliveries – The van with no man?